As if things weren’t bad enough for the heroes and villains of the Injustice universe. But now their actions have caught the eye of a being of immense power and supreme intellect. With The Lines Are Redrawn Trailer Injustice 2 developer Netherrealm Studios announced who the big bad (or may be one of them since we know Darkseid is in the mix as well) is going to be. This time we will have to face Brainiac. His entry speech from the trailer will forever remain in our heads and now we can also show you the first ever screenshot. As of right now we don’t really know whether he is going to be playable or not, as no official statement was given. 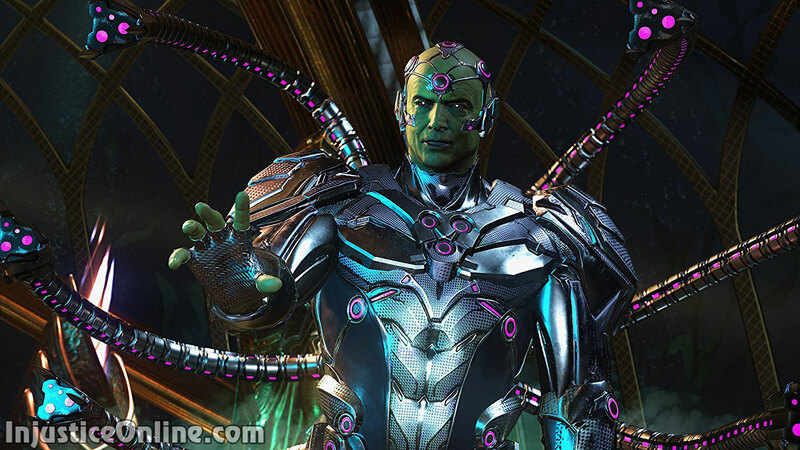 But since Injustice: Gods Among Us didn’t have unplayable character, we can currently assume that we will get to fight as Brainiac. 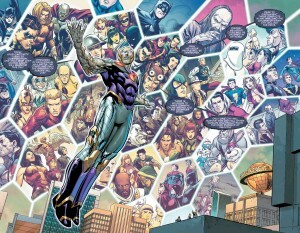 The DC Multiverse as seen on the pages of Convergence. 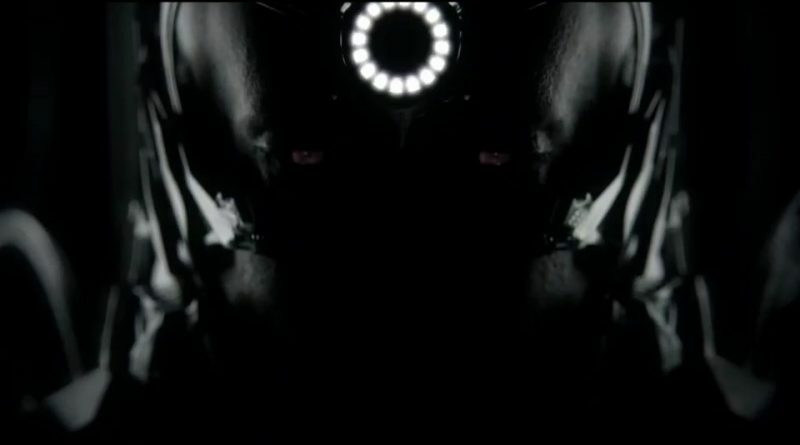 What we also don’t know is what version of Brainiac this is going to be. Lets not forget that Brainiac already has connections to the Injusticeverse through the first pages of Convergence #1. We are really interested whether the events from this particular comics are going to be acknowledged in any form. 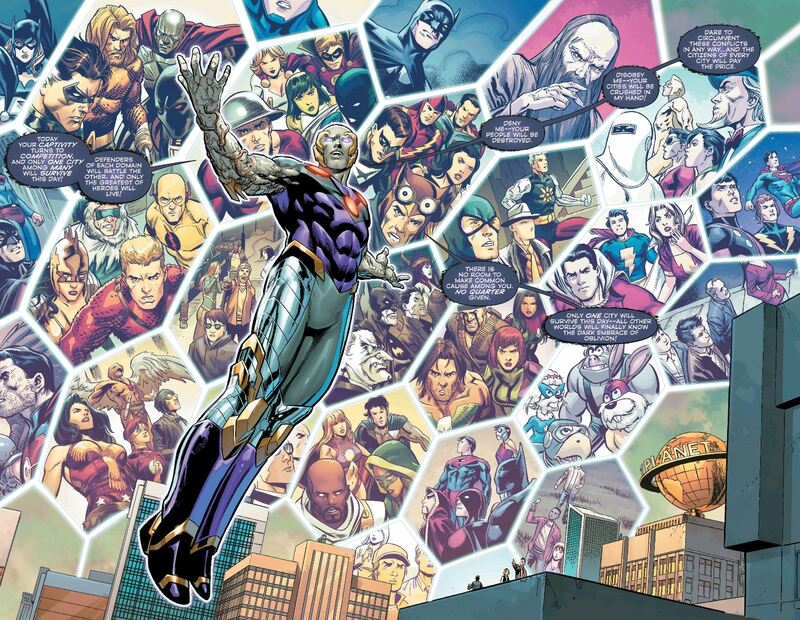 On the right you can see the Multiverse as seen by Brainiac in Convergence. In that same comics he visits the Injusticeverse and crushes it. If you look at the part of the trailer where Supergirl meets, Wonder Woman, Batman and Superman you might even find it similar to the place where Brainiac first saw Superman and Batman in Convergence. You can read more about the Injusticeverse here. If you want to see the transcript of The Lines Are Redrawn Trailer, and what it remind us of, click here. Are you excited about the Injustice 2, let us know in the comments below. If you like this article, please share it with your friends and leave us feedback. We appreciate it.